We smell the smoke. We hear the helicopters, spotter planes and large tankers as they fly overhead. We see the billows of smoke pouring out of the Lake Christine Fire near Basalt. Dozens of friends and acquaintances post pictures and videos, horrific and spectacular, that both fascinate and appall us. We all wipe away tears as we watch the communities of El Jebel, Basalt and others in Eagle and Pitkin counties and the Roaring Fork Valley gather to thank the heroes that saved those communities. That is community, and it is why we live where we do. Fire! This is an element that those of us in Glenwood and vicinity know all too well. There was the Storm King Fire that claimed the lives of 14 young firefighters on July 6, 1994. I watched from the deck of my home a short distance away as that fire blew up and those firefighters perished. It is such a helpless, hopeless feeling. We will never forget those 14 men and women who lost their lives that day! Then there was the Coal Seam Fire. I was out of the country at the time, but a cryptic message from my brother, who was watching our home and critters sent me looking for news in a panic. If it had not been for a heroic effort from firefighters, near and far, Glenwood could have looked very different, if it even survived. Now, our neighbors in Eagle County are struggling with the Lake Christine Fire. Yes, we are susceptible to fire. And we also have a constant need for emergency medical services. So who do we depend on for those services, every single day? Here is the problem. The mill levy that voters approved for the Glenwood Springs Fire Department in 2013 will sunset at the end of 2018. That is not only a problem for the Fire Department, it is a problem for the citizens of Glenwood Springs. Since the mill levy was approved in 2013, the Glenwood Springs Fire Department has seen a 23 percent increase in total call volume, with a 19 percent increase in emergency medical calls. At current staffing levels they are able to respond within nationally recognized standards. The loss of the revenue provided by this tax could result in decreased staffing. In turn, that could result in slower response times. Having used the services of the Glenwood Springs Fire Department, I can tell you that even standard response times feel like an eternity when you are waiting for help for a loved one experiencing a medical emergency. And, given the volatility of our dry landscape this year, a few minutes’ difference in response time could make the difference between controlling a small fire or something like we have seen from the Lake Christine Fire. Another factor to consider is that if response times increase enough, it could result in a change in the city’s Insurance Service Office (IS0) rating. This could result in higher insurance rates for everyone, a direct hit to our wallets. It is quite likely that voters will be asked to renew that tax along with the renewal of a capital equipment mill levy this fall. This, to me, is an ask that we simply cannot turn down. We have a well-run, efficient fire department that every citizen depends on in a crisis. We simply must choose to continue to fund them. Not to do so would be shooting ourselves in the foot. It would be crippling to the city and the citizens. My hope is that the city would ask the citizens for a slight increase in this mill levy and a longer sunset period — enough to keep up with the demands and call levels placed on them and to bring stability to staffing for years to come. It is a small price to pay to know that critical response is just a few minutes away. Kathryn Trauger lives in and writes from her hometown of Glenwood Springs. 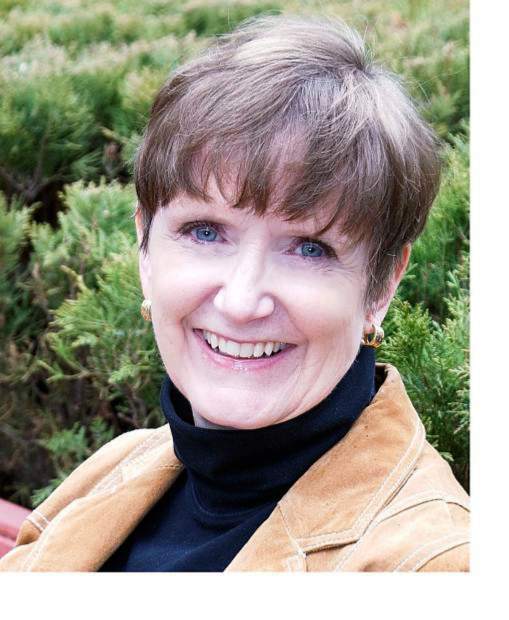 She has served the community as a member of Glenwood Springs City Council and chair of the Planning and Zoning Commission, and she currently serves as the chair of the city’s Financial Advisory Board. Her column, Perspective, appears monthly in the Post Independent. She may be reached at kathryntrauger@gmail.com or at 970-379-4849.